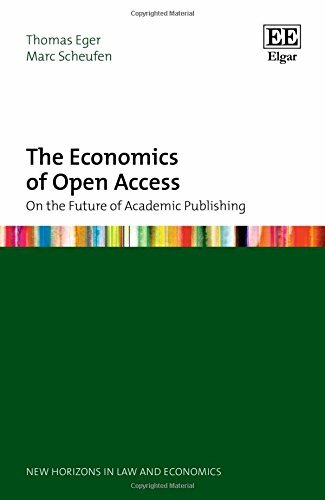 The increasing shift towards digital publishing has provoked much debate concerning the issues surrounding ‘'Open Access’' (OA), including its economic implications. This timely book considers how the future of academic publishing might look in a purely digital environment and utilises unique empirical data in order to analyze the experiences of researchers with, as well as attitudes towards, OA publishing. Presenting findings from a novel, in-depth survey with more than 10,000 respondents from 25 countries, this book shows that the research culture of scientific research differs considerably between disciplines and countries. These differences significantly determine the role of both '‘gold’' and '‘green’' forms of OA and foster both opportunity and risk. Discussing their findings in the light of recent policy attempts to foster OA, Thomas Eger and Marc Scheufen reveal considerable shortcomings and lack of knowledge on fundamental features of the academic publishing market and conclude by highlighting a policy agenda for its future development. Well-timed and far-reaching, this book will be of particular interest to students and scholars interested in the economic analysis of copyright law. Academic librarians and research sponsors will also benefit from the insights offered.